Promise rings have been used since ancient times to signify a connection between two people. 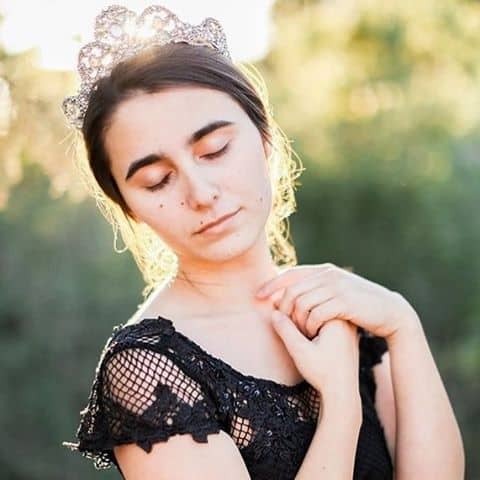 They’re meant to be symbols of fidelity, love, connection, and devotion. The meaning behind the ring is significant between the two people who have exchanged rings, or when a ring is presented to one person. It could mean any or all of those meaningful things. It could be a pre-engagement ring, one that will take the place of a ring since the couple isn’t getting married for whatever reason, or it could be a friendship ring between two people who promise to always be there for each other. If you feel like a promise ring is right for your relationship, chances are that you’re correct. This is a ring that has many interpretations and the symbolism is dependent on the relationship it represents. With the uses in mind, it’s easy to imagine that interlocking rings easily represent the right symbolism of the relationship. The ring can be interlocking hearts like a love knot on the top of the ring. This type of ring is available in a variety of metal colors from white gold to silver to rose gold. 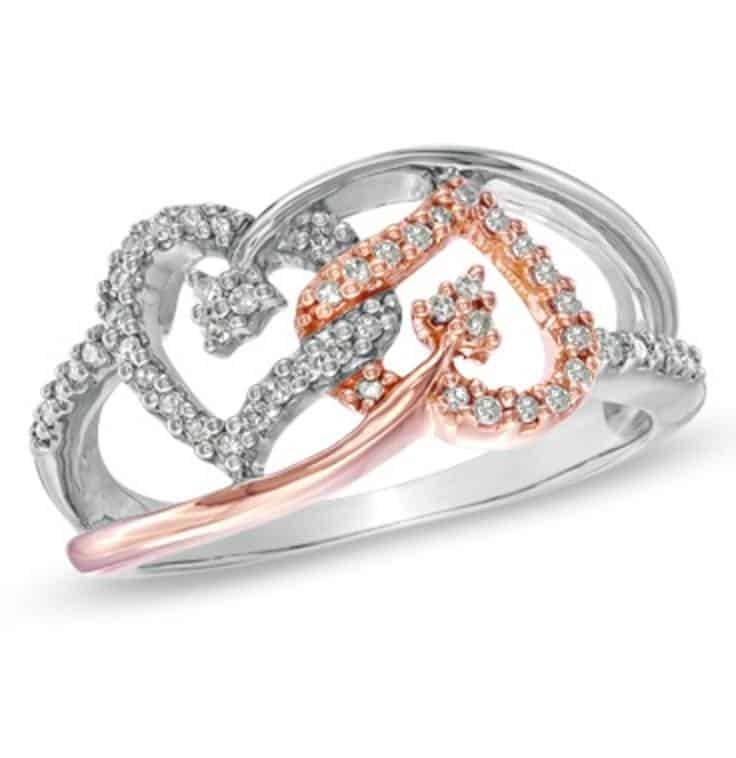 Some rings have one heart in rose and one heart in silver to distinguish the different hearts linked together. It’s a great outward symbol of the love you have for each other. 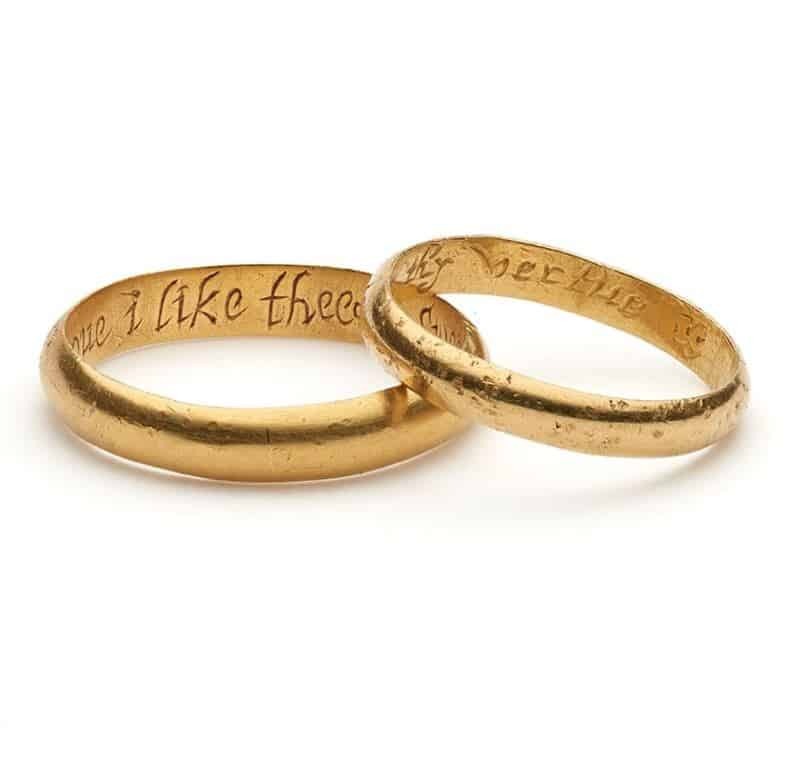 These rings are spelled “posy or poesy” and feature an inscription in the interior of the ring. The inscription can be a short part of a poem, a declaration of love or a few simple words. Posy rings have been around for centuries, but they are making a comeback as a beautiful symbol of love between two people. In fact, many women wear posy rings on necklaces, so that the inscription can be seen quite easily. These are usually bands with small, intricate details on the front. The important part is the inscription inside the ring. That varies by the individual couple and what they choose. 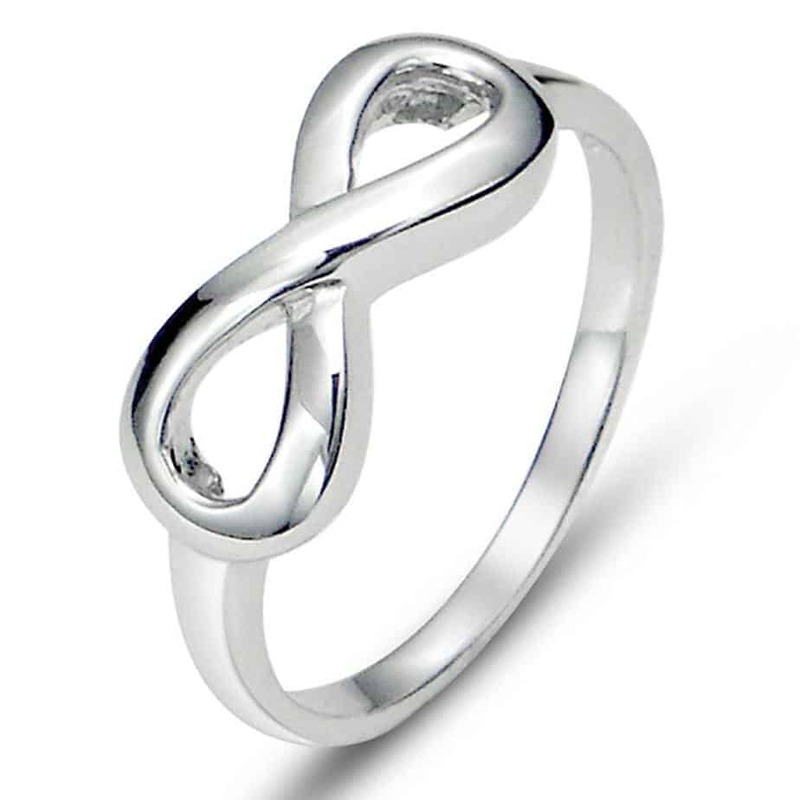 The infinity symbol is one of those that’s timeless and truly speaks of the relationship. The symbol can be done in a variety of metal colors. The band of the ring is shaped like an infinity sign and can feature small stones or two different metal colors. There are truly many kinds of infinity symbol rings, and you’ll have to choose one that works for you. In fact, it’s such a timeless symbol that couples might choose to exchange rings with this sign on it. 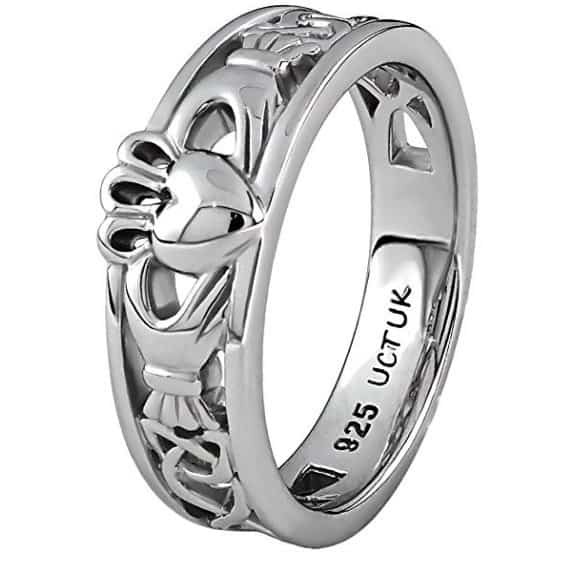 A Claddagh ring is a tradition for the Irish who exchange the rings to declare their love and show that they are taken. When the heart is worn inward or facing the person wearing the ring, it means they are in a relationship. The person is declaring that their heart is taken. This ring is normally worn on the right hand. Some couples like to exchange rings instead of the man giving the woman a ring. 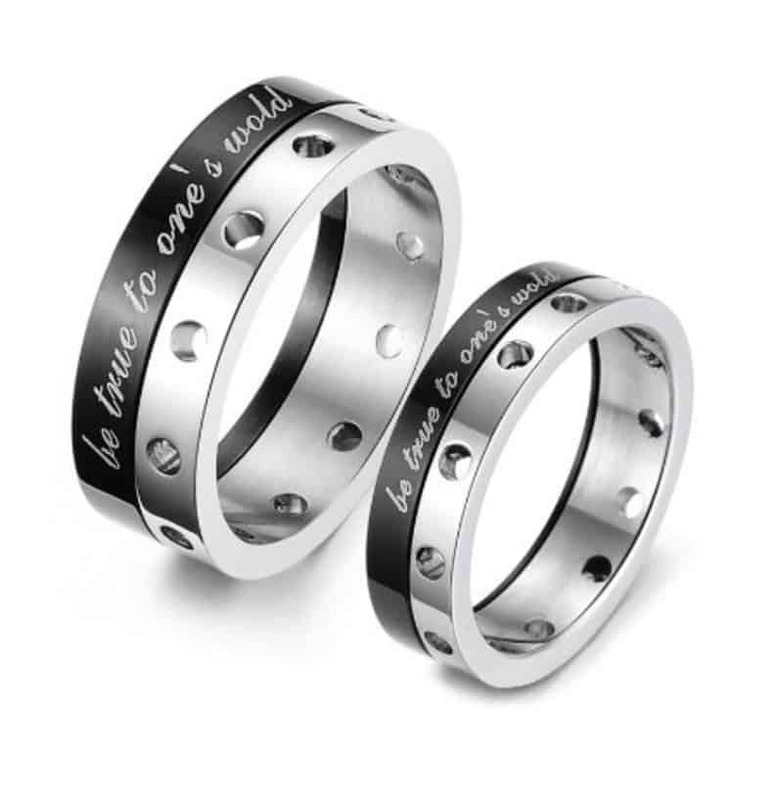 One example of a promise ring with meaning is to have the other person’s name engraved on the ring itself. The guy will wear his ring with her name on it and the woman will wear the guy’s name on her finger as well. There have long been charms that are broken in half so one person has each part of the heart. Only when they’re together are the pieces whole. This is the same concept in ring form. The rings will have a partial heart on each. There are also key and lock rings for the couple to exchange, too. While many of the options above are not original, they’ve been around for many centuries like the posy ring, this is a slightly new concept. The man and woman wear similar crowns as they declare each other the king and queen of each other’s hearts. It’s a beautiful symbol of the degree of their love for the other. It doesn’t matter if you are exchanging rings as a couple or presenting her with a symbol of your devotion to her. There are so many rings to choose from when you’re ready to declare your love. After deciding on the ring, you’ll need to consider how you’re going to present it to her, too. While every aspect of buying a presenting a promise ring is significant, you want to ensure that you’re doing it correctly.